The GOP is indeed the Party of Death. Its pro-NRA, pro-guns stance proves this over and over. the horror we experience day after day, month after month, year after year. Sheesh. 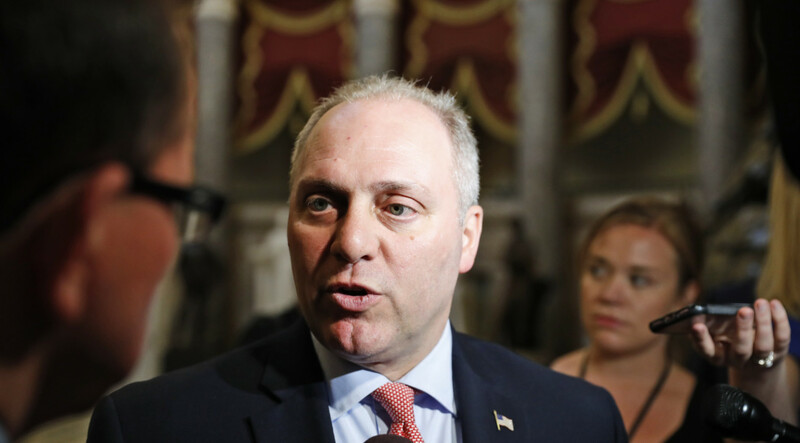 Steve Scalise channels the GOP talking points, despite the horror he himself experienced. He now knows what each gun victim experiences -- the ones who survive -- and yet he must stand with his brethren in the Party of Death. Got to admire him for grit. Note. Saying, in defense of guns, gun deaths are the price we pay for our 2nd Amendment rights, and, hey, we tolerate auto deaths at nearly the same clip, is nonsense. Saying, hey, we gotta drive is not like saying, hey, we gotta shoot people defend ourselves.